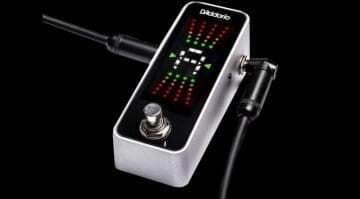 Are you in need of a tuner for your cramped pedal board? 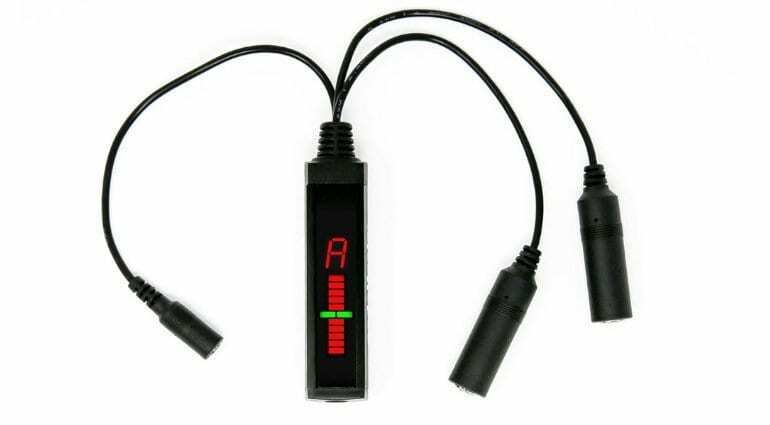 The name SST stands for Space Saving Tuner, which perfectly describes what it is and does. The aluminium body of the Pedaltrain SST is in a “bar” format less than 1 inch wide and tall, minimally shorter in length than a normal pedal. According to the manufacturer, it should be able to slip under the adjacent patch cable plug and save more space. Pedaltrain SST tuner a real space saver! You can connect the SST to your pedal set-up via a kind of breakout cable, where you can plug in power supply (the SST is way too small for batteries) and also the audio cables. 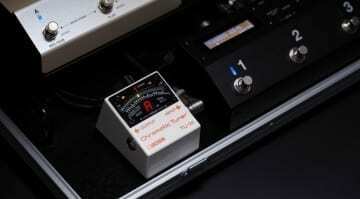 The SST is also always-on, so you can check your tuning without having to engage a footswitch. 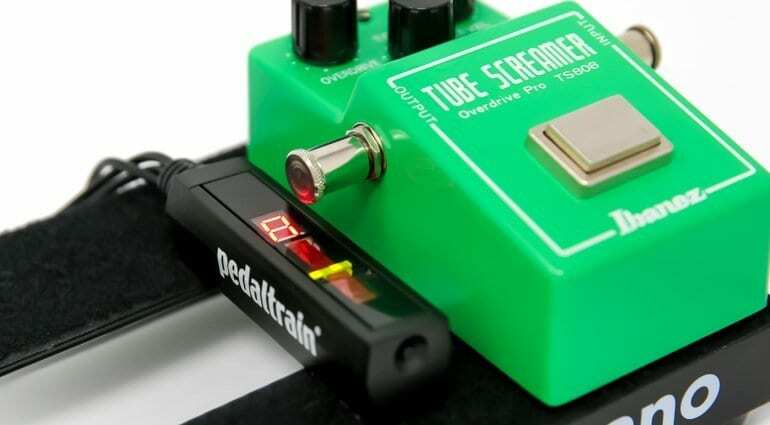 The Pedaltrain Space Saving Tuner tunes with a 1 cent accuracy and bright LEDs that are probably good enough to be seen outdoors. The reference tone can be set between 438 and 445 Hertz. The SST only tunes chromatically, though, but for most players, this should be more than enough. 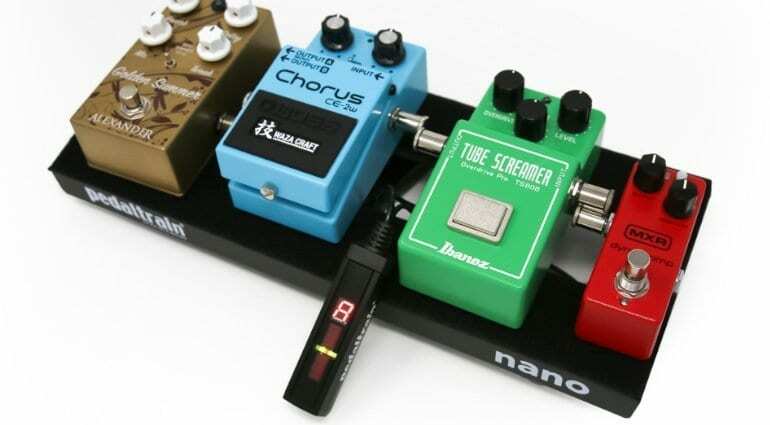 I’m really surprised that nobody has done this before, luckily for us, Pedaltrain has and I think it is a really good idea. Maybe not the cheapest way to tune your guitar, but certainly a very neat and compact one. 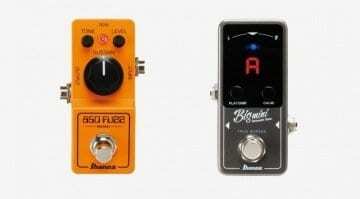 Pedaltrain states that it is best run from a dedicated tuner-out from a volume pedal, which makes sense. 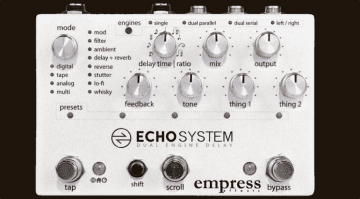 But even without one, it will sit nicely on any pedalboard that uses an external power supply. Musikmesse 2016: Boss TU-3S and TU-3W Waza Craft new variations on their flagship tuner.